PUNCAK ALAM: Oriental Interest Bhd (OIB) will be introducing its latest residential development project — Myra Alam in Puncak Alam, Selangor next month (August). The residential project has a GDV of RM300 million. Located close to the KL-Kuala Selangor Highway’s (Latar) Puncak Alam interchange which is currently under construction, the 35.5-acre leasehold development consists of both landed and high-rise homes. “Just like our other Myra series, Myra Alam has been carefully planned as a pure residential development with 223 units of terraced houses, 364 condominium units and 394 units of Rumah Selangorku apartments,” said OIB marketing manager Ken Goh. He told EdgeProp.my that OIB Group will be carrying out a pre-launch event for the first and second phases of Myra Alam on Aug 5. “In fact, we have already opened the 106 terraced houses in the first phase for booking since early June and 50% have been booked so far. We are positive about the take-up and hope they will be all sold out within four months. Then, we will proceed with the launch of our Rumah SelangorKu project,” said Goh. The terraced houses in phase 1 have built-up sizes ranging from 1,542 sq ft to 1,865 sq ft with selling prices from RM475,000 before the developer’s early bird discount. About 20% of the Myra Alam site will be allocated for common facilities including two parks with facilities such as children’s playground, jogging track, football field and a shaded green area. There will also be a multipurpose hall and praying rooms. “With the opening of the Guthrie Corridor Expressway and Latar highway, the area has already seen improved accessibility. Add the completion of the DASH highway to that and it will only take 20 minutes to reach Kuala Lumpur city centre. Myra Alam is one of the closest new developments to the Latar highway new interchange, which will be ready by the time Myra Alam is completed,” said Goh. Phase 1 is slated for completion by 2020 while the entire development is expected to be completed in 2023. Puncak Alam is an up-and-coming area where a number of large developments by established property developers are being built. “It is true that buyers have many choices in Puncak Alam but we are not struggling to get buyers. We are actually benefitting from the highly competitive environment because buyers can compare our prices and products with the others and see the strengths of Myra Alam for themselves,” she said. She added that Myra Alam is designed to meet the gap in the property market in Puncak Alam where most new landed homes are priced at RM600,000 and above per unit. Homes that are priced below RM600,000 are usually either high-rise developments or townhouses with smaller built-up sizes. “We will not launch a project without careful planning and research. This is why our previous projects were recession-proof and constantly hit 80% to 90% occupancy rates. The demand for landed houses at real affordable prices is always there. This is also the market that OIB Group is focusing on,” Lim said. OIB Group manages to keep the selling price affordable with its strict cost control and having its own in-house construction team, marketing team as well as maintenance and management teams. “Having our in-house maintenance and management teams is important because we are here to build the community, not just houses. We want to build sustainable communities that will speak for our brand and stand the test of time,” Lim offered. Although Myra Alam is not a strata development, the developer will build a guard house and fencing for the development. 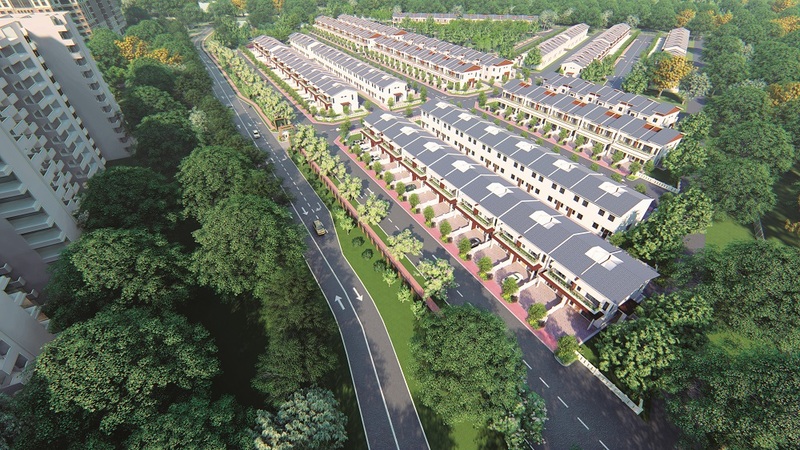 “We will get the consent (from the residents) to convert Myra Alam into a gated-and-guarded community in the future. We will also stay on to manage the development for a few years before passing the task on to the residents association, just like what we have done in our previous projects,” she shared. Moving forward, OIB Group will be launching more projects worth RM350 million to RM400 million GDV in the new financial year ending June 2019. The developer currently has more than five on-going developments in the central region. This story first appeared in the EdgeProp.my pullout on July 27, 2018. Download EdgeProp.my pullout here for free.